Heian-jingu is shrine in Sakyo-ku Kyoto-shi, Kyoto. 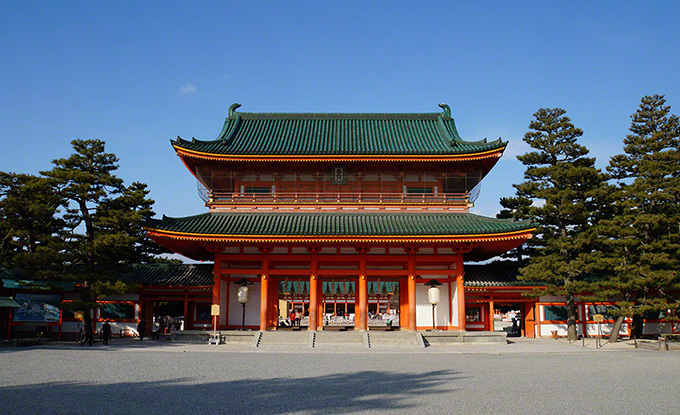 Heian-jingu to commemorate the Heian capital in 1100, was founded the Kanmu emperor as a deity in 1895. Every year, in the October 22 is a day of Heian capital, now Jidai-festival is performed to commemorate the foundation. Posted in 東山エリア and tagged 桜名所, 紅葉名所.